Happy Thursday! Almost to a holiday weekend! Woohoo!!! 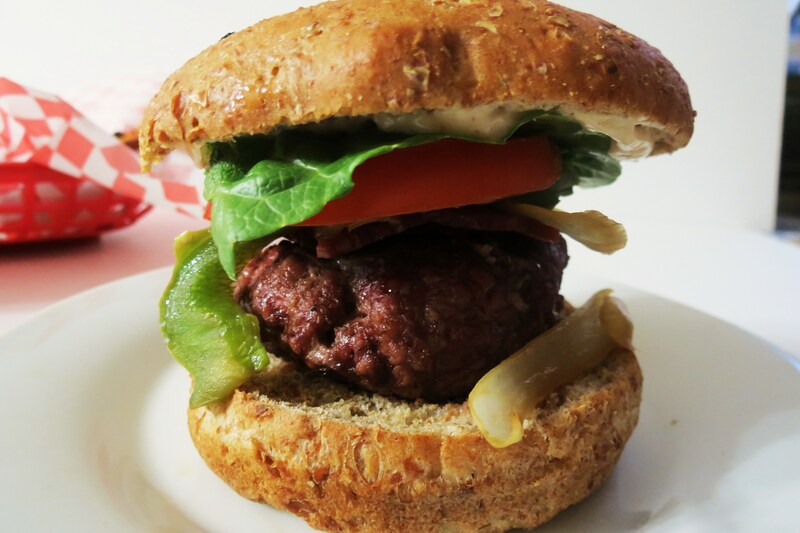 Since it’s the last big Summer BBQ, I thought I would share with you a spin on traditional burgers. 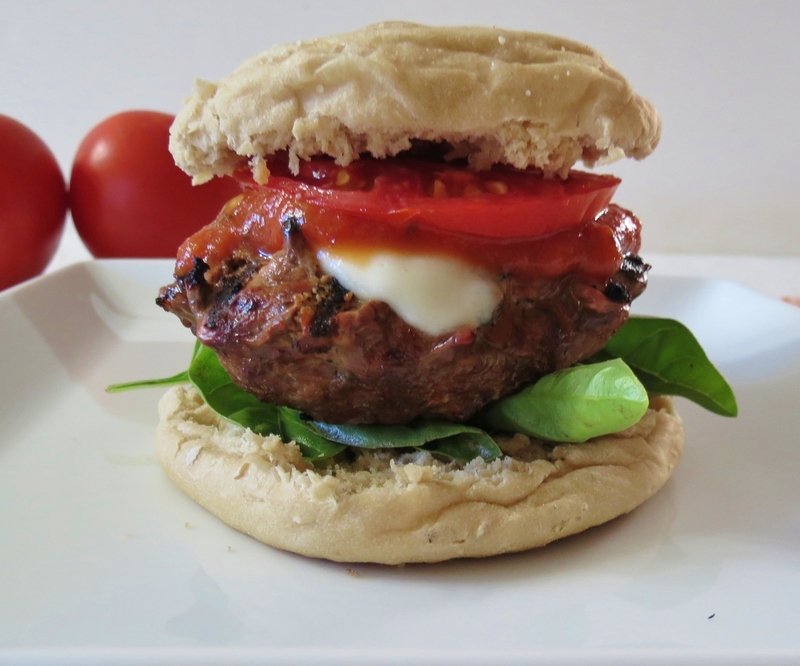 What really makes this burger good is the mozzarella cheese and the fresh basil that I used in place of the lettuce. 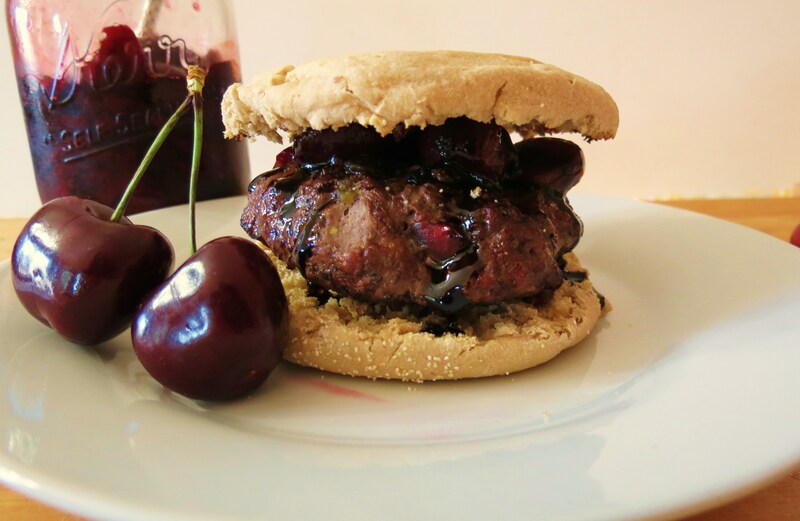 My Husband wasn’t sure about this burger, but he must have liked it, he ate two of them!!! For an added extra pizza taste I also topped it with some more pizza sauce and a tomato. That made it perfect!!! 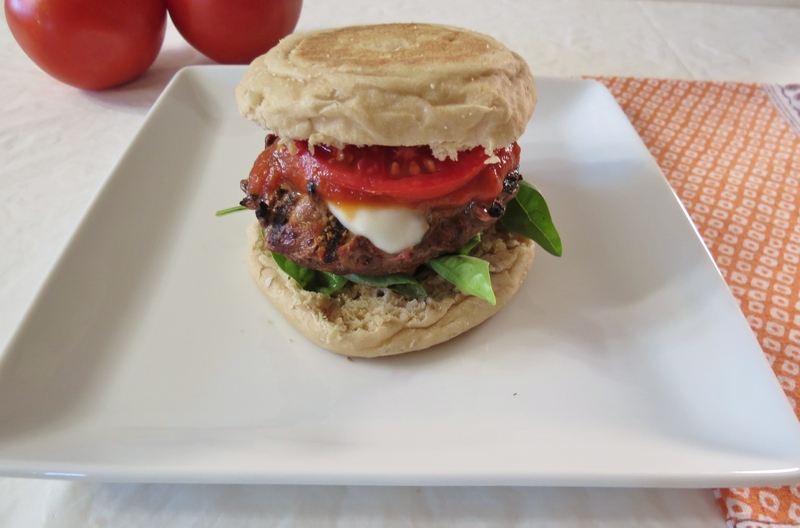 To keep the calories low on the burger I decided to use an English Muffin for my bun. It is only 100 calories and full of fiber and protein. I really like subbing the basic roll for an English Muffin. I get more of the burger taste then all of the bread. Plus its sturdy enough and the right size to hold my burger. 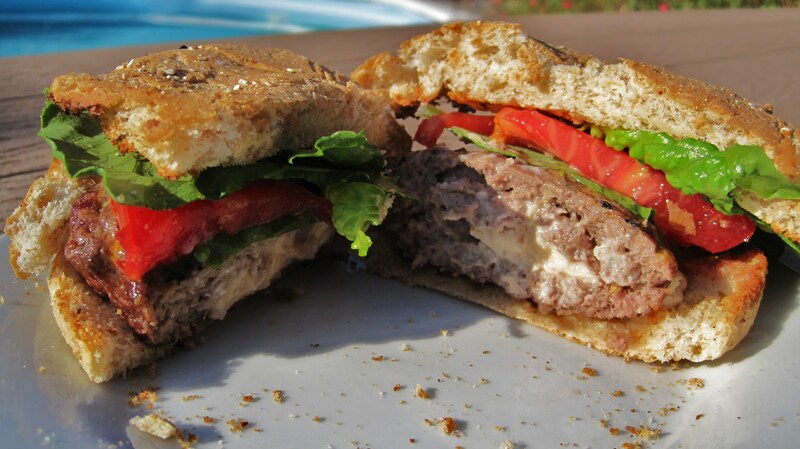 I can never make a flat burger they always come out fat and juicy! Just the way I like it!! 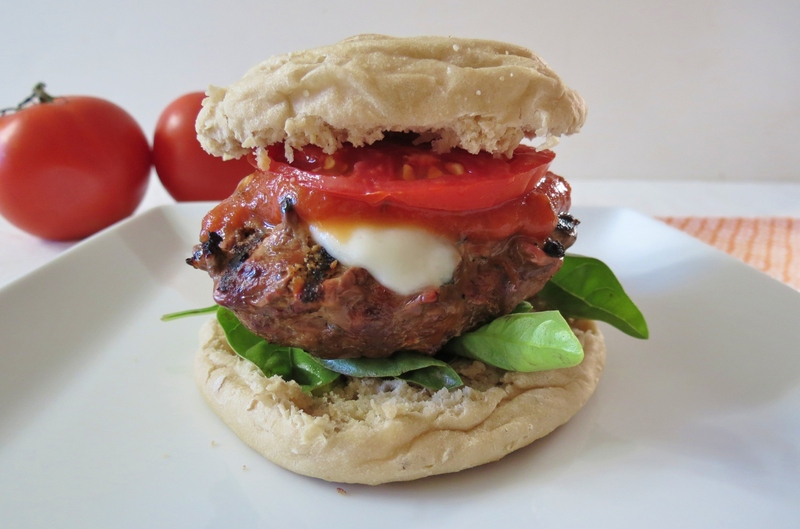 Do you like to make burgers for your barbecue parties or just for your self and family? Do you change it up and make different kinds? I personally love changing up the basics, I think it’s a fun twist and always a surprise to the person who is going to eat it. I know my Husband was surprised. Hmmm, I wonder what crazy kind of burger I can make next? 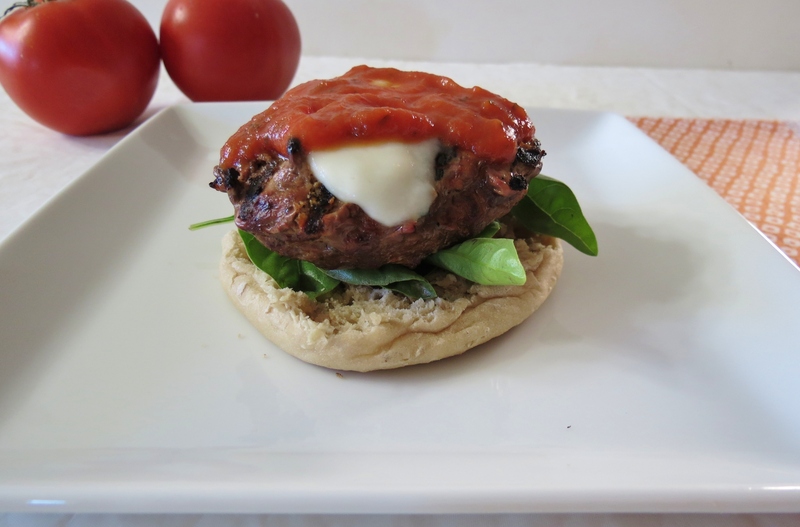 Grilled burgers made with pizza sauce, oregano and fresh mozzarella cheese served on an English Muffin. In a bowl, add ground beef, egg, oregano and pizza sauce. Mix together until combined. Divide the ground beef mixture into 4 equal pieces and form into a patty. Place on grill and cook until done. About 5 minutes per side. 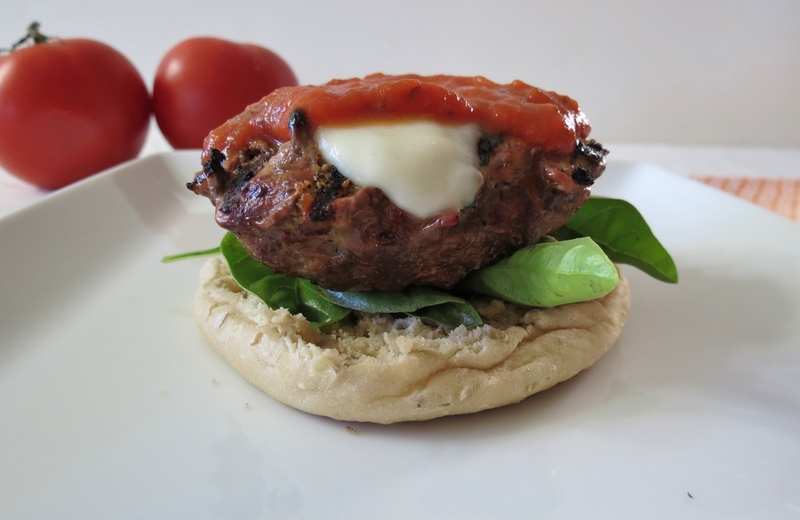 Add mozzarella cheese to burgers about 1 minute before burgers are done. Cook until the cheese is melted. Meanwhile; split your English Muffins and place on the top part of the grill and cook until lightly toasted, about 1 minute. I used a Thomas English Muffin Light version for the bread. Well I had fun with this one today! I just love changing it up and making it fun! That’s it for today’s edition. Time for me to whip up a little dessert! Have a great day!!! Now get out that and grill those burgers!! you just combined two of my favorite things! and you’re absolutely right. this would be the ultimate treat for the weekend! Thanks! These days I am just loving my burgers! This burger sounds amazing! Actually all your burger creations do! I will definitely need to make these for the holiday next week 🙂 – english muffins make the best buns! 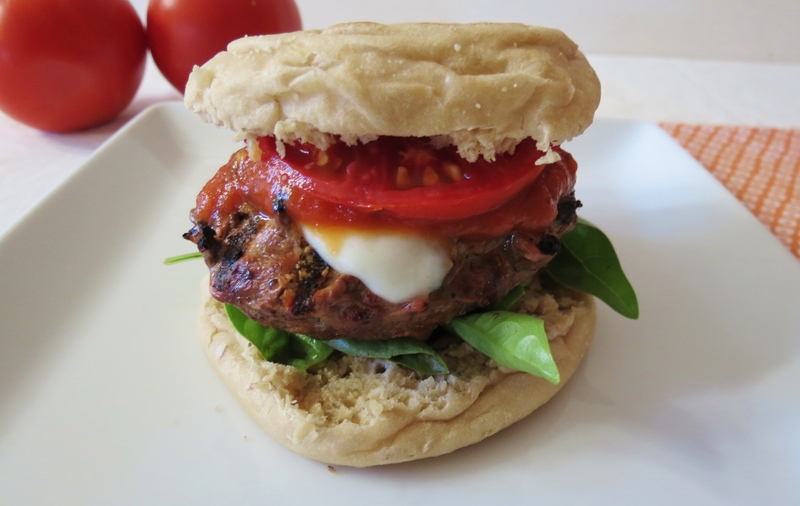 You’ve convinced me that my major goal for this weekend is to make a veggie pizza burger! Yum! 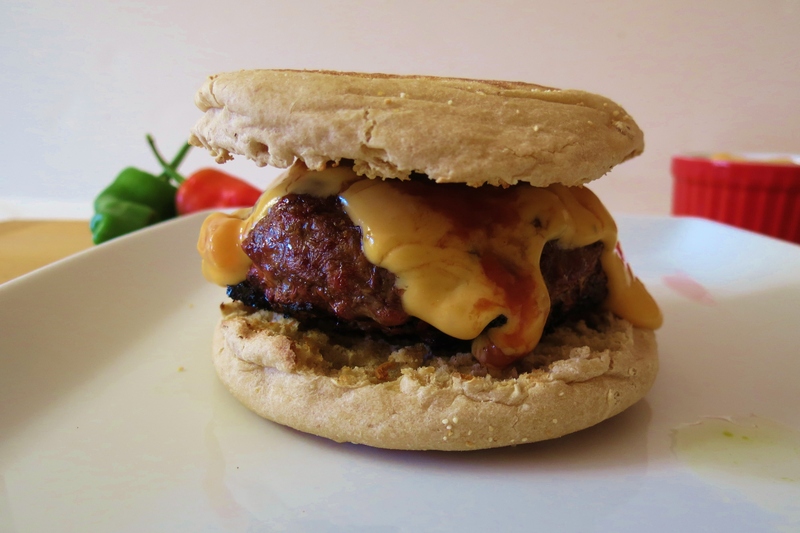 I also love using an English Muffin when I make my burgers. 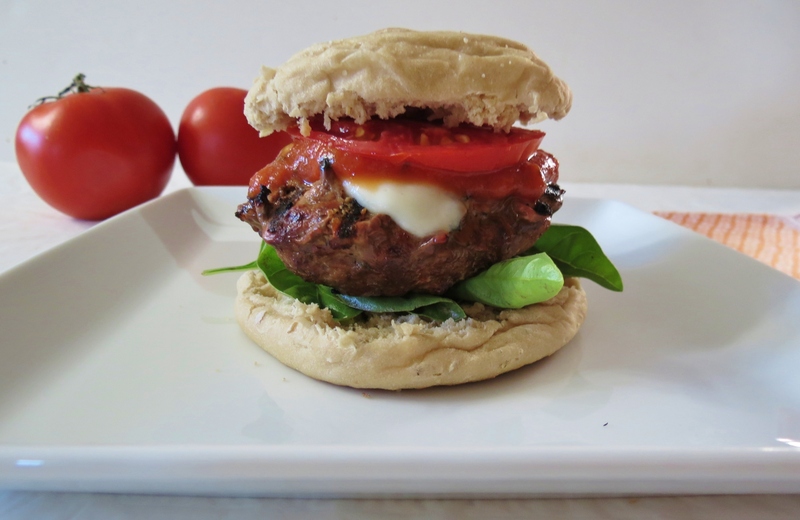 Pizza burgers are delish! This is perfect because I have some hamburger meet I need to use up, perfect timing!